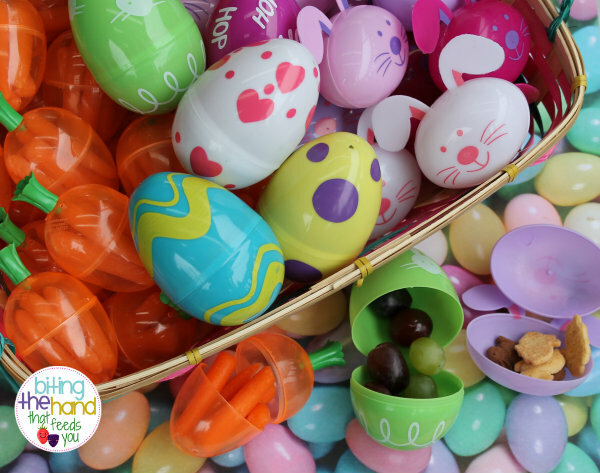 Biting The Hand That Feeds You: Classroom Snack - Healthy Easter Egg Hunt! 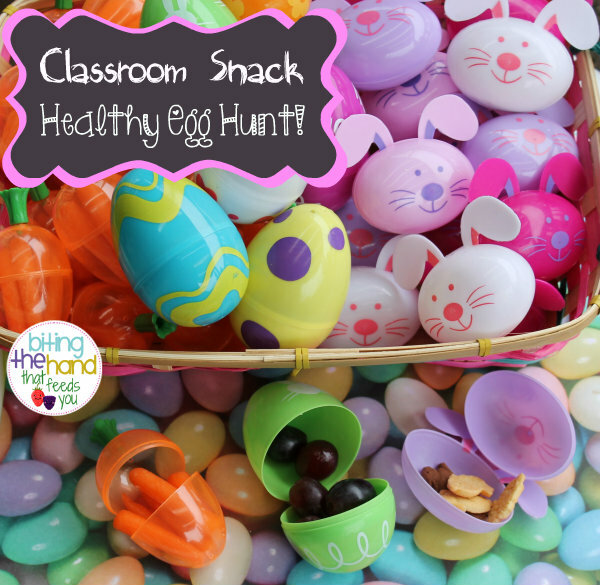 Classroom Snack - Healthy Easter Egg Hunt! Inspired by a few Easter egg lunches I saw various places online, I wanted to do something similar for my last day as snack parent at Z's afternoon preschool. 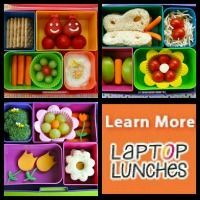 The Mo Willems book-themed snacks and mini bento snacks had been such a hit, I wanted something equally fun. The class happened to have a field trip to the library that day, to end their book-themed learning unit, but would be back to school in time for snack. Which was the perfect opportunity to hide the eggs! To make it easier for each child to just get one of each type of snack, I got different-looking Easter eggs for each item. My original plan had been to get pastel eggs for one food, bright-colored eggs for another, and jumbo eggs for a third. But when I went to Dollar Tree to stock up, they had super cute novelty shaped eggs! I just couldn't pass them up, even though they came in smaller package sizes. 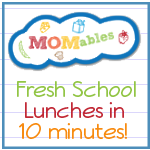 I didn't get to be there for snack, since there are no siblings allowed at school, and it wasn't worth finding a sitter for. 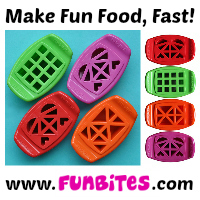 Cute and so much fun! I love the carrots in the carrots! 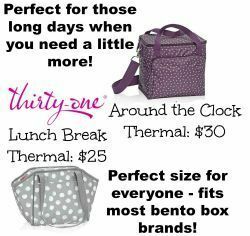 Another awesome, healthy and cute idea and I have to remember to do this next year!